The Oxford Brookes University Gaza Scholarship Scheme was set up in 2009 to let the people of Gaza know that they are not forgotten. 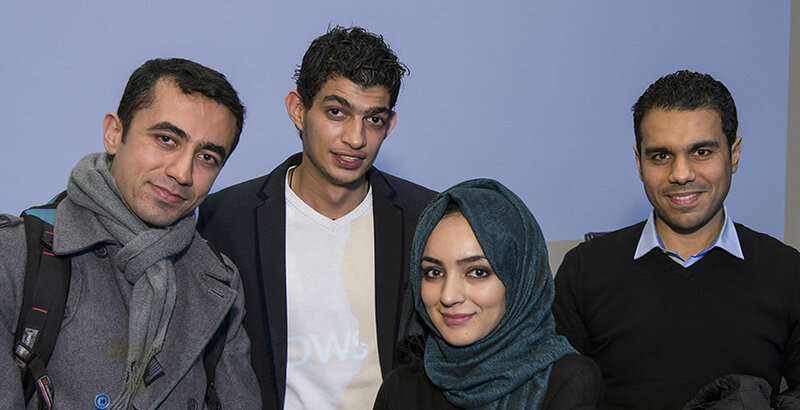 The Gaza Scholarship is a fully-funded annual scholarship for a Master's degree at Oxford Brookes University, and is made possible by the generosity of donors like you. Since 2009 we have had eight incredible, dedicated students come to Oxford to study and grow as individuals – made possible by the education and experience that the scholarship offered them. 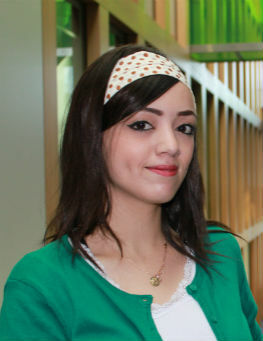 Jehan Alfarra completed her MSc in Computing in 2014. Based in London, she is a writer and has contributed for the books The Arab Spring: 5 Years On and Gaza Writes Back. Hassan Alhallaq completed his studies for an MSc in E-Business in 2013 and was awarded a prize from the Department of Computing and Communication Technologies for his outstanding achievement. He returned to Gaza but came back to the UK in 2016 after being awarded a research studentship by the Faculty of Technology, Design and Environment at Oxford Brookes to pursue his PhD, which is on-going. Ramy Salemdeeb completed his MSc in Environment Management and Technology in 2011. He has since set up the first regional initiative to promote sustainable waste management in the Middle East. Ramy was recently awarded a PhD by the University of Cambridge. Omar Jouda studied for a Master's in E-Business 2016-17 and has undertaken an internship in London. He had previously set up his own online business in Gaza and is confident that the Master's course at Brookes will assist him in developing and growing his business further. This past year he also won a social entrepreneurship prize at Brookes with a fellow student to develop an app that builds bonds between refugees and the local Oxford community through a passion for food. Jamila Alza'anin completed her Master's in Development & Emergency Practice in 2012 and most recently has worked as Communications and Coordination Officer in Dubai for Sharjah Voluntary Award, a local organisation that promotes and supports voluntary sector work in the Middle East. 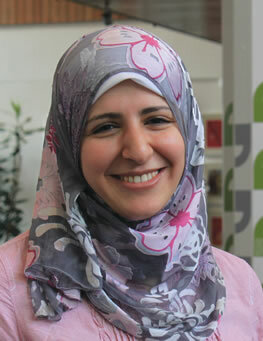 Amal Jaber has just graduated with a Master's in Development and Emergency Practice. Prior to coming to Oxford, Amal was a training coordinator with UNRWA's Emergency Preparedness and Response Unit. "Since arriving at Oxford Brookes, I have met new people from different parts of the world with different experiences which have widened my horizons about different cultures and different lifestyles. I have achieved my goal to enrich my knowledge about refugees’ studies and humanitarian aid regime, as well as the livelihood and self-reliance discourse and durable solutions. The whole experience was fantastic, enriching and pleasurable at the same time." 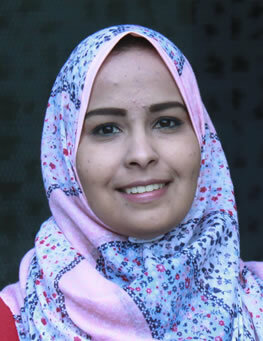 Shaymaa AlWaheidi completed her Master's in Public Health in the Faculty of Health & Life Sciences in 2015 and returned to Gaza to work with the International Medical Corps in Gaza as a primary healthcare officer. She started her PhD in October 2017 at King’s College London, continuing her focus on the lack of support for early diagnosis and treatment facilities for women with breast cancer in Gaza. Hadil Louz is our current Gaza Scholar for 2018/19. 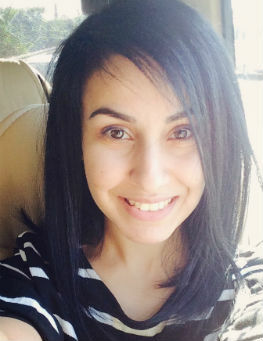 Before coming to Oxford, Hadil worked in the UNRWA (United Nations Relief and Works Agency for Palestine Refugees) Gaza Field Communications Office. "After 2 years of trying for the Scholarship, I got it. I am now in Oxford Brookes studying International Human Rights Law. I can't quite believe it! I am accomplishing my dream which I fought so hard to make real." Your support will help ensure that more outstanding students from Gaza, like Omar, can also ‘live the dream’.